iOS App in the App Store Now! iTrainerMini is a smaller version of its big brother, iTrainer™. Discarding the screen, speaker and buttons, iTrainerMini weighs in at a lightweight 12.5g. It clips on to the club shaft just below the grip and has no impact on the golf swing, yet is able to accurately measure and analyze swing characteristics of drivers, irons and putters. 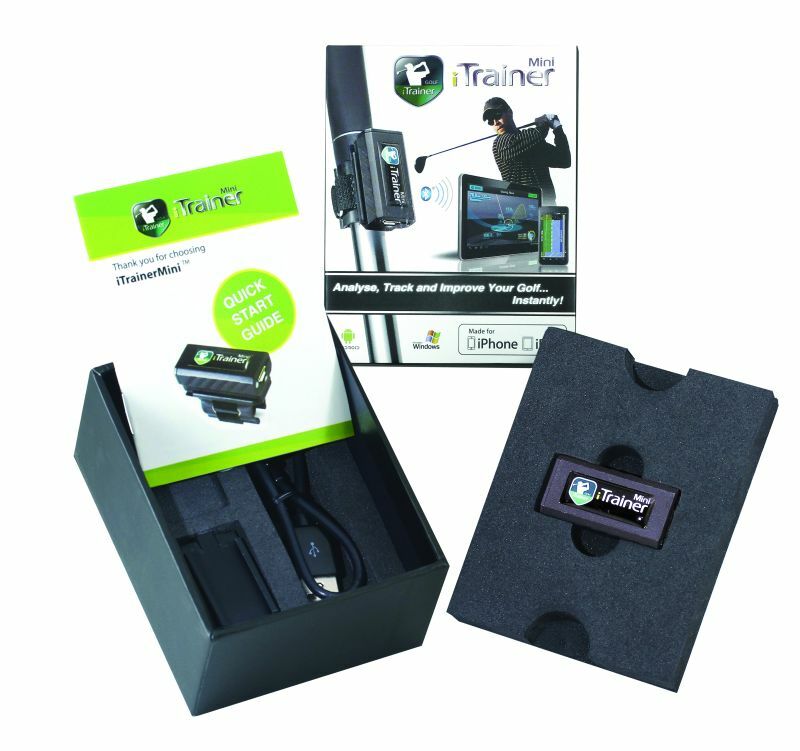 iTrainerMini™ incorporats the same intelligence as the iTrainer, but unlike its big brother, it is designed to work with external devices like a golfer's smartphone or tablet running the iConsole™ application or iAcademyLite™ for the PC. Provides more information than most systems costing many times more!